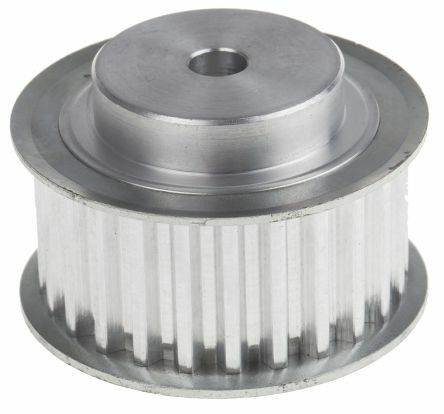 The RS Components selection of pulleys is designed to perfectly compliment our range of power transmission belts. 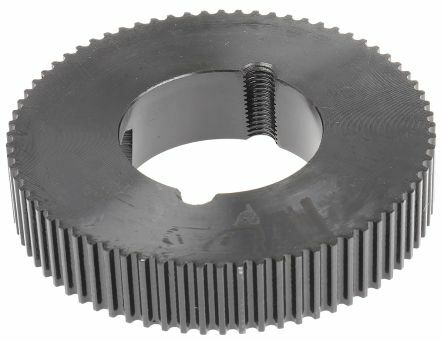 Within this section, you will find timing belt pulleys and wedge and vee belt pulleys - all RS Pro branded to help you shop for total quality at competitive prices. Manufacture of pulleys conforms to ISO 4183Compatible with all manufactured HTD® beltsDesigned to be used with appropriate taper. 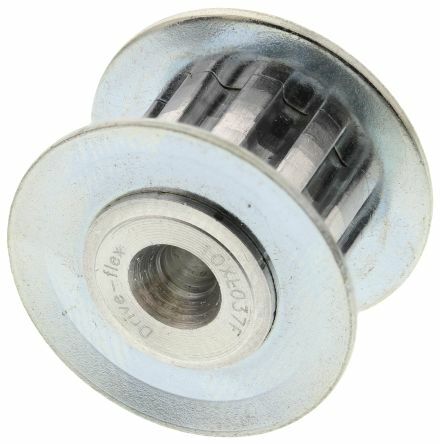 5mm pitch x 15mm wide beltManufactured from high strength materialDesigned to be used with synchronous HTD beltsEasily re-bored to required shaft sizePulley width 20.5mm. 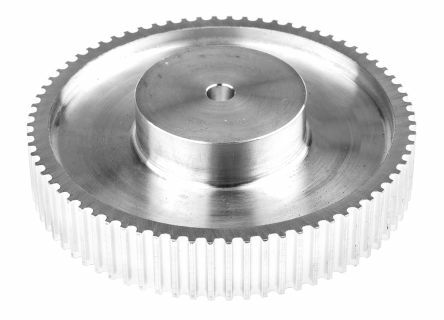 Aluminium timing pulleys to suit all polyurethane timing beltsExcept for 48 and 60 tooth, all pulleys have flanges and all have standard pilot bores.